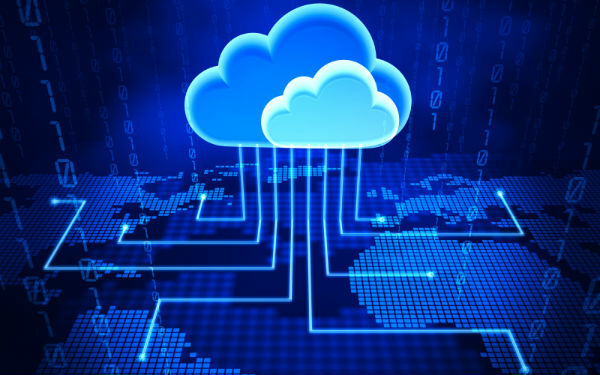 One of my favorite advances in technology that has benefited me in my career is the emergence of The Cloud. I was first introduced to cloud computing in a previous job when I joined a new team towards the end of 2009. Since that time, I have been using cloud computing in one form or another on a daily basis. My main platform is Dropbox, but I also use Google Drive from time-to-time. Through my years of using these tools, I have developed a specific perspective on a few aspects of the technology. Access: By using a cloud service, there is a great deal of flexibility given for working outside of an office. I am constantly traveling for work and do not always have my laptop with me. By using Dropbox, I can easily access all of my information on any computer with an internet connection. This makes giving a presentation easy because there is no need to create duplicate copies through emails or flash drives. Mobility: Not too long after I started using Dropbox, they developed a mobile app for my iPhone. For me, this allowed for an almost exponential increase in functional use. By having access to all of my documents at all times through my phone, I had the ability to provide better customer service because answers that I would have needed to go back and check on were always at my fingertips. Safety and Security: The nature of The Cloud is that information is not just sitting on one computer waiting to be lost at any moment when a hard drive fails or someone spills water on the keyboard. Backing up is almost redundant because your information is not just on one computer or device. Additionally, files are secured directly through protection from Dropbox. While hacking of their system does occur, I don’t believe the risk to my non-sensitive information outweighs the benefits. Time Savings: The Cloud has also allowed me to save time on several different fronts. The first is for sharing files with myself on various computers. If I need to print a document, my files are already on the desktop I use for printing. This also saves time when sending a document to someone else. They are provided a link that will remain the same as I make updates; one location to find the latest draft. Collaboration: Specific to Google Drive, being able to collaborate with others – in real-time – is one of the greatest benefits available. This is particularly useful when I am working with coworkers who are 3000 miles away. Again, this eliminates redundant drafts left out for people to mistakenly use. The Cloud has greatly changed how I work and my productively. I wouldn’t call myself an early adopter, but I have been using this resource for many years and have tried to maximize the benefits with each new feature. I am certainly interested in seeing where the technology will go next. If there are any other benefits you find from using The Cloud, please post them in a comment below.